What’s pho lunch, Eau Claire? My favorite soup, of course! 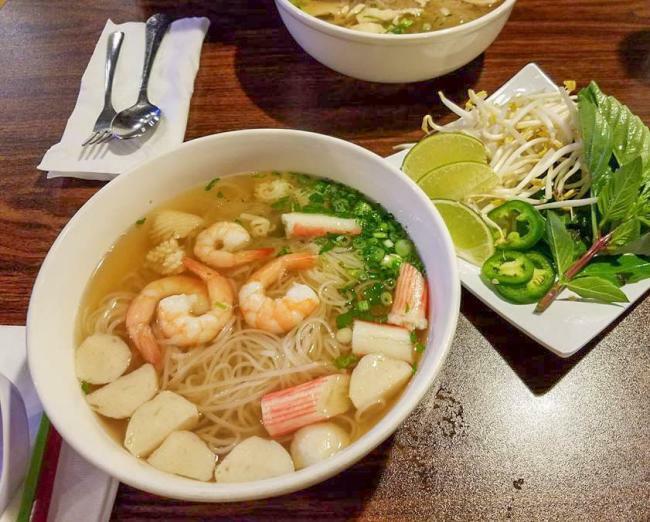 Pho is a traditional Vietnamese noodle soup, and it is hands down the best. Growing up, my family only ever made pho about once or twice a year. I remember standing in our kitchen with a giant bowl filled with chewy rice noodles and thinly sliced beef, along with all the fresh garnishes, while my mom ladled steaming broth over it all. It was pho-tastic! 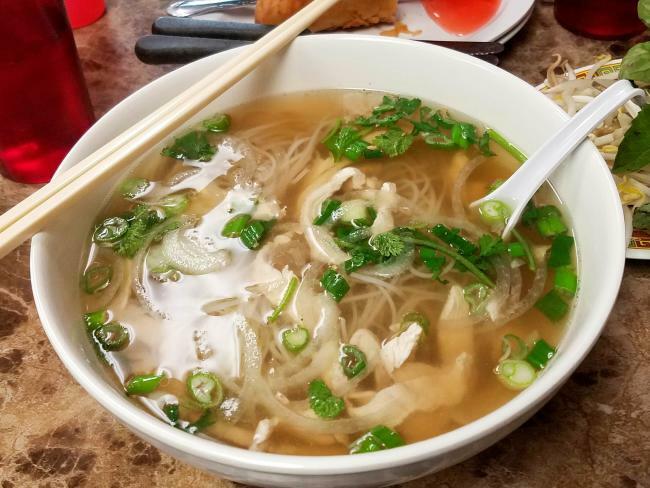 If you’ve never had pho before, now is a great time to treat your taste buds. Head on over to one (or more!) of these four favorite restaurants that have proven themselves as un-pho-gettable! Every bowl of pho I’ve had at Noodle Teahouse reminds me of my childhood. That’s how good it is! I find that the broth is already perfectly seasoned so I usually skip the condiments and get sipping. Here, you can get just about any kind of pho from seafood and rare steak to meatballs and veggies. You won’t want to miss Noodle Teahouse’s pho deal ($5/bowl) on Thursdays! 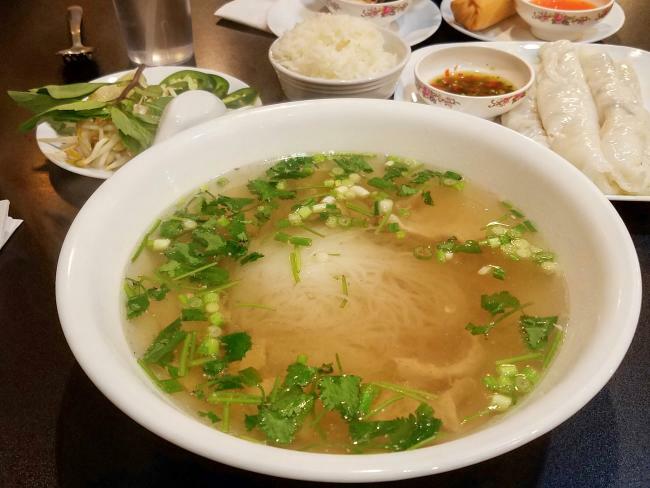 Though Egg Roll Plus no longer has their pho deal on Tuesdays, folks still keep rolling in! Pho experts will tell you it’s all in the broth, and boy, does Egg Roll Plus know how to make it. Seriously, just one whiff will knock you out of your chair. The rice noodles stew in a broth that has got the perfect balance of spices! You won’t want to miss this hidden gem located right in the heart of Eau Claire. Ready for another pho deal? Rice Palace has got you covered with their any size pho for $5 on Fridays. The broth is clear and so very flavorful! I like to tuck a few basil leaves under the rice noodles, squeeze in some lime juice, and top it off with a generous handful of bean sprouts. If you want a bit of a kick, throw in some jalapeño slices, and get ready for a pho-nomenal experience!